This article focuses on different blocks of Phase 8. Along with the connotation of investment and varying plot prices in each block. The ex-Park view and ex-Air Avenue which came in DHA in 2008 and Z block which was announced later are not included in this discussion. Phase 8 DHA Lahore Plots have a higher price tag than Phase 6 because of its ideal place and direct approaches from Lahore. Phase 8 starts from Block A and ends at Block Z making a total of 22 blocks. The focus of our discussion will however, stay in 7 blocks namely S, T, U, V, W, X, and Y block. 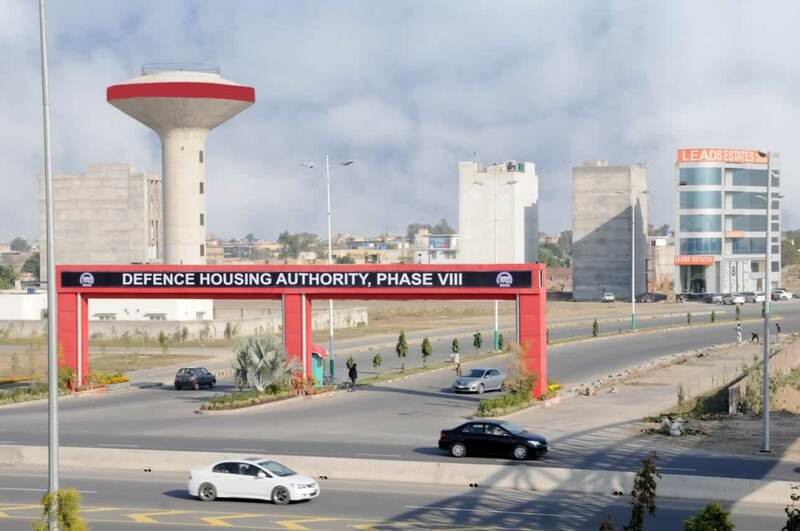 Phase 8 has an approach from ring road, Bhatta Chowk or Phase 1 approach, Phase 6 approach, airport road approach and Barki Road approach, making it one of the easiest blocks to approach from in and around Lahore. The drive from Phase 1 to Phase 8 is only a 2.5 km drive. Similarly other routes are there according to suitability and needs of anyone. Most people have bought DHA Lahore Phase 8 Plots with the idea of building their own home in the future. These blocks of Phase 8 were given possession in 2013. However due to certain unforeseen events the possession is delayed until 2017. It’s expected for possession in 2017 and the prices are already touching that of Phase 5. 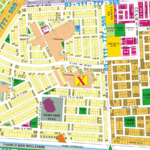 The reason is speculation, town planning, and the easy access to these 7 blocks. After taxes of 2016-17 it is one of the few Phases which stay almost unaffected. This in turn shows that the speculation part is only 10-15% of the real value of Phase 8 unlike other Phases of DHA Lahore. Direct approach from Barki Road, this block was under priced. Adjacent to T Block, S block is the only Block with 1 Kanal cutting throughout on the Main MB. For anyone holding less budget and wants a relatively better location this is the block to invest. S block has 4 entry and exit points, two on MB and two on Barki Road. Two major drawbacks of S block are the graveyards and unplanned areas. The unplanned area however, is to the side but effects almost 20 plots. The graveyard takes the beauty out of the plots nearby. One of the graveyards also effects the approach to the adjacent plots. There are a total of 1072 plots out of which only 69 plots are premium. On the main road ranging from 9-28, 260-272, 285-301 and 1037-1055. 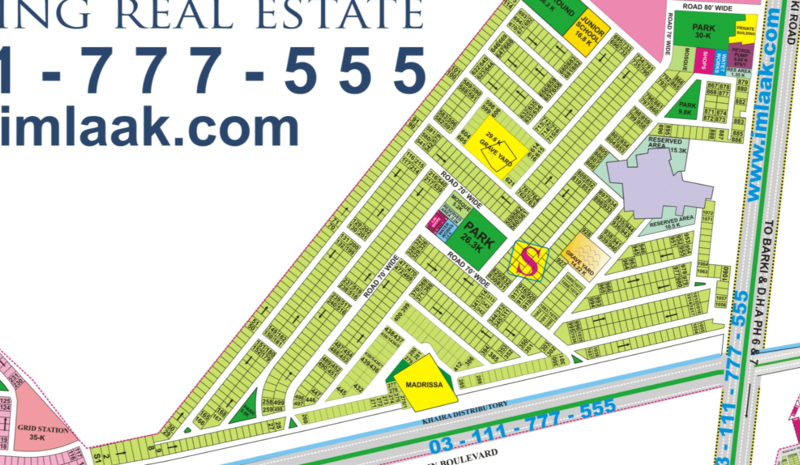 The facing park premium 33 plots ranging from 316-322, 823-830, 554-560, 256-259, and 167-175. The other parks do not have a good location therefore, we do not count them as premium areas. The Main Boulevard facing plots near the Madrissa land are not counted as premium. However, plot no.285 is premium because of being a corner plot. The Madrissa land is not occupied and there is no such activity. It is just barren land with walls on the side and a small empty building. Either buy a standard plot or a premium plot depending upon your budget. It is advisable to buy a plot in S block before possession. It is bound to give very handsome returns up to 30-40% near possession. Buy a Premium plot or go for a standard plot without any drawback. A corner plot always has its perks. This block has a total of 1751 plots and is the second most expensive block of Phase 8. 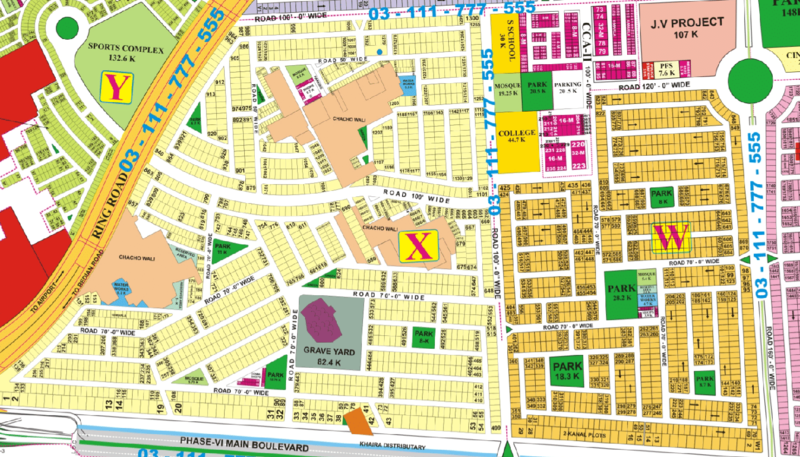 This block also contains the second largest CCA (Central Commercial Area) of Phase 8 namely CCA 1. Along with that it also shares the largest park of Phase 8 on a huge 148 Kanals piece of land. It has one graveyard towards the boundary and a piece of reserved area in between. The plot prices are divided in two main areas. 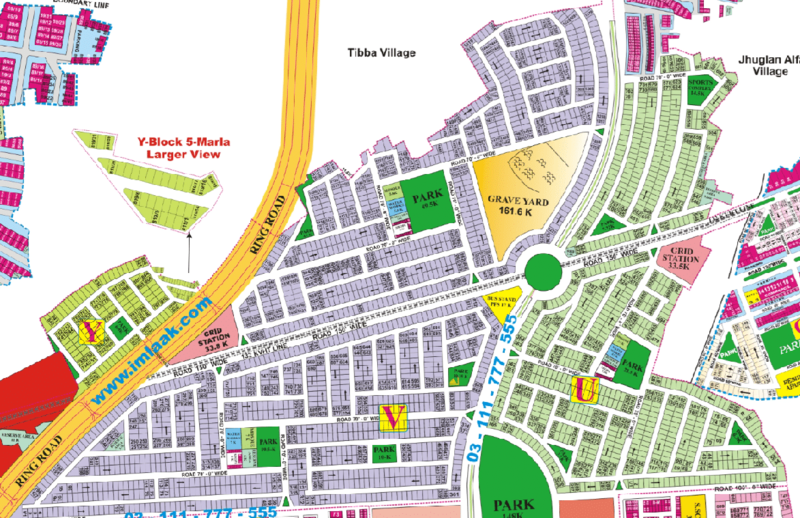 The plots near the W block are expensive and with the lower end plots are towards S block. There is a dividing road of 100 ft between the two areas dividing the higher priced and lower priced plots. There are two kanal plots on the main road facing MB. The premium higher end plots facing park are 55. At the lower end premium park facing plots are 30 ranging from 481-482, 594-595, 586-590, 72-76, 361-364, 157-158, 341-342, 248-255. There are four main entry exit points two on the Main Boulevard. Two on the 160’ wide road dividing T block and W block. T block has caught up to W block with the difference of a few million rupees. T block offers the high and low prices for a standard plot. Go for the plots mentioned above or buy a standard plot in the high-end category without any drawback(s). This block will be the second most premium block in Phase 8. It will eventually catch up to W block prices in or before time of maturity of Phase 8. The most premium block in Phase 8 without any drawbacks with a total of 870 plots. This is the only block without any private reserved area, graveyard or boundary. Situated in the middle of Phase 8 on the Main Boulevard, W block has always been a favorite of investors and end users alike. With 4 entry exit points in total. Two on the 160’ road dividing W and T block. Two on the dividing road of X block and W block, W block prices despite non-possession have reached the prices of Phase 5 plots. The future star of Phase 8 has the second CCA with the most expensive commercial plots of Phase 8. The park area totals to 65.2 kanals of all the four parks. 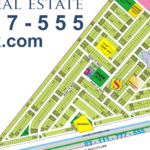 The premium park facing plots are 69 ranging from 368-373, 326-331, 335-340, 310-315, 382-386, 544, 570, 571, 586-7, 450-454, 225-229, 143-146, 187-190, 173-174, 686, 669, 687, 668, 652-656, 700-705. It is advisable to buy any of the aforementioned plots or any other plots. Refrain from the commercial facing plots or the ones facing sector shops, water works, mosque and the reserve area. If you have the budget to go for a two kanal plot it is highly advisable to buy one. It’ll double in 3-5 years’ time ranging from 1-28. Avoid going for a plot nearing the commercial area towards T block. U block has a total of 760 plots. It is the nearest to Broadway Phase 8 commercials. These DHA Lahore phase 8 plots also benefit from the largest park of 148 Kanals in phase 8. This block is divided into two parts by a high tension electric cable over ground. The plot prices are divided into high and low-end plots. The high-end plots being the ones below the high tension wires whilst driving from Phase 6 towards Phase 8. The low-end plot prices are of those which are above the high tension wire towards Phase 8 Broadway Commercials. There is no Graveyard in U block. It comprises of six parks one of them being the largest one in Phase 8 residential. There are 5 entry exit points to Phase 8 U block, three of them are below the high tension and two above the high tension wire. U block is reasonably priced in comparison with T block and W block’s premium prices. Four parks are below the high tension wire and two above it. Some of the most expensive plots are the ones situated next to the big park having a small park behind them as they are two side open plots. The premium park facing plots are 59 ranging from 47-52, 288-291, 301-305, 307-322 (308-313 having two parks front and back), 183-187, 163-164, 476-478, 526-534, 705-706, 651, 623-628. It is advisable to buy a plot below the high tension area except for the ones mentioned above. Offering you some space from the future commercial hub of Phase 8 Broadway. Go for a plot which is just off the 70’ road, the ones mentioned above, a corner or a standard plot not too far away from the entry exit points. The high price plots facing park on both sides are not advisable. These will compromise the privacy of anyone living in this particular area. It would give you a return of roughly 25-35% or more at the time of possession. Comprising of four parks and a total of astonishing 1524 plots, V block has its pluses and minuses. Similar to U block it is also divided into high-priced and low-priced plots with the high tension wire dividing the two. The major drawback of this block is the largest graveyard of Phase 8 residential plots based on a total of 161.6 Kanals. This however, is not that big a concern as a vast array of options to choose from. The graveyard has compromised not only V block’s main road plots above the high tension wire but people are generally reluctant to buy in U block on the main road as it’s opposite the V block plots next to the graveyard despite a distance of 300’ feet from the V block graveyard. The good thing about V block in comparison to other blocks that the plots are relatively lesser priced and you have to find a needle in a haystack but you tend to find a relatively cheaper premium plot in comparison to the adjacent U block. The 5 entry exit points of V block Phase 8 residential plots are not that convenient, only three entry exit points are conveniently situated. The premium park facing plots are 36 ranging from 412-417, 457, 436, 458, 435, 477-482, 133-136, 705-708, 1100-1103, 1016-1023 (some plots are not included due to certain drawbacks). The list does not consist of all park facing plots as only premium plots are mentioned. Other than the plots mentioned above, remain below the high tension 132 KVHT wire. Do not invest in plots on entry exit points as an end-user. However you still can for the pure sake of investment returns buy such a plot. Buy a corner which is not de-shaped or a standard plot in the area towards the main road after the entry exit point near the CCA 2 market. An expected rise of 30% is expected within a year’s time. An extra 1-2 million jump as well once the market of U block starts saturating. The location is premium among all blocks discussed before. It is the first block once you take the entry point on Main Boulevard of Phase 6. Because of certain areas of the village Chacho Wali this block has failed to reach its greatest potential. 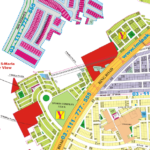 This block also comprises of the second largest graveyard after V block consisting of a total of 82.4 Kanals of land. The main road 2 kanal plots are a favorite of this block. It also gives the option of 5 and 10 marla plots which no block towards this side of the ring road has to offer. The 10 marla options are on a better site in comparison to the 5 marla plots which are next to the village of Chacho Wali. The village will be cleared in the future and might offer its investors a jackpot in terms of price appreciation but until such rumors float the market it’s not advisable to buy in such an area. X block Phase 8 residential has 9 entry exit points. The block comprises of 5 parks mostly small ones. The premium park facing plots are 41 ranging from 491-2, 525-526, 540-544, 473-476, 921-924, 914-920, 733-741, 742-747 excluding plots with any drawbacks. 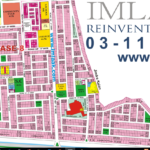 It would be wise to invest in a 10 marla plot of a relatively better location, 2 kanal would be excellent if you have the budget, or the plots mentioned above. Other than that investing in a 1 Kanal away from the graveyard or village of Chacho Wali is also beneficial. 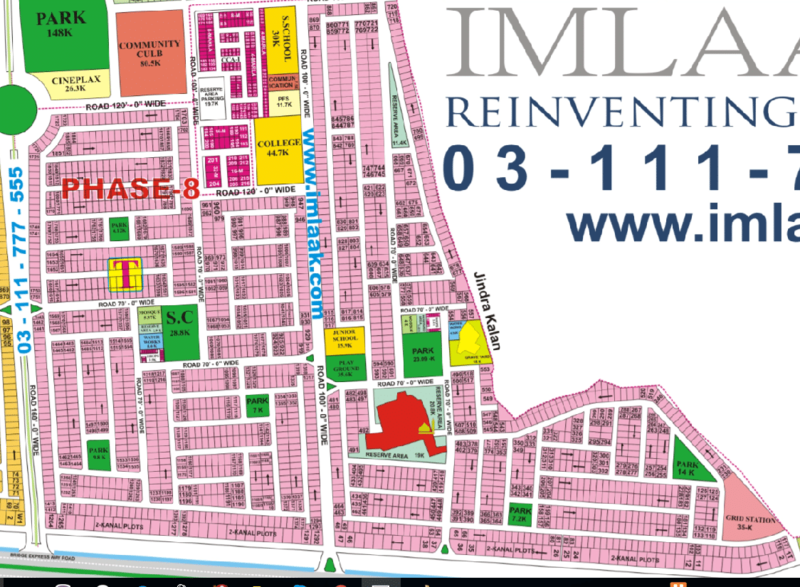 Heaven for smaller investors, this is the block if you want to go for a 5, 8 or a 10 marla plot. Located on the other side of the ring road, this block has a different approach from all other blocks discussed above. Y block has its drawbacks but along with it is one of the largest sports complex on 132.6 kanals of land. 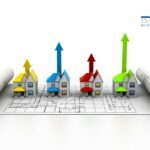 Smaller plots will give higher returns in terms of profits. Y block is lesser priced because of its location. 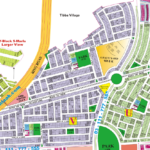 It has a total of around 850 plots with the largest number of smaller plots. This block is ideal for low budget investors. Plots are cheaper here in comparison to X block because it’s on the other side of the ring road. The approach altogether is not bad at all with 5 entry exit points on the ring road. No premium 1 Kanal plots as we don’t recommend buying a 1 kanal in Y block, S block is a better option. There are however, smaller plots facing park which would be ideal for investment ranging from 660-664, 659, 700/1. The price will rise by 35-45% within a year. 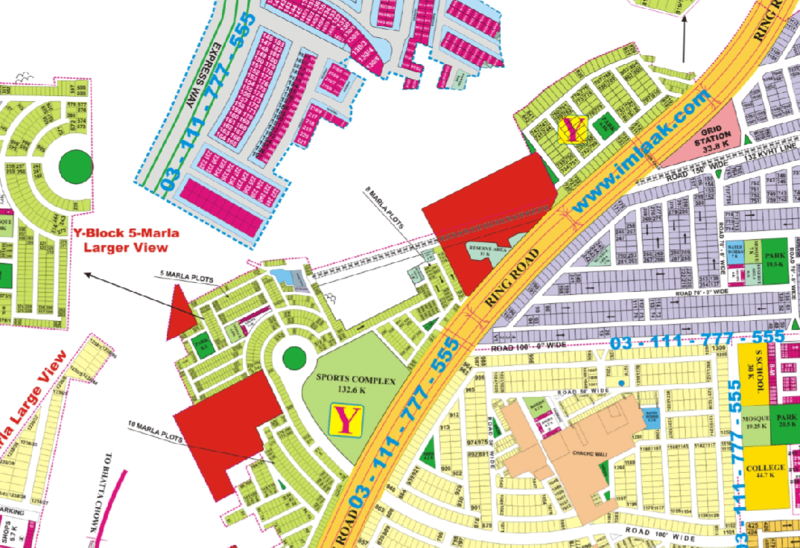 It is highly advisable to buy a smaller plot of 5, 8 or 10 marla for investment purposes as well as living purposes. DHA Phase 8 overall boasts a high living standard in the future. Not all park facing plots are mentioned in the article. Only the premium plots without any drawbacks such as a graveyard, mosque in some cases, grid station, main road entry exit plots. The purpose of this article is to make an informed decision instead of relying on rumors. 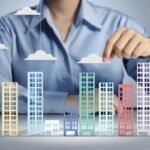 I have studied the Pakistani Market for four years now and would like to give an insight to anyone willing to invest or buy for building his/her own house in the future.